A resume is a snapshot of your employment history, skills, achievements and education. It is a tool to market yourself that makes it essential in healthcare. Keep in mind, when competition continues to rise, employers are looking for the best of the best in the healthcare industry. Here at KTE we manage and review resumes daily, making it one of our main priorities every day. Today we will share with you what recruiters and employers look for in a resume and help you understand what to leave out. Are you sending your resume to potential employers and not getting a response? It could mean that it’s time to take a closer look at your resume. Below you will find five tips to help you get started with creating or revising your resume. When you find yourself in the situation that your resume runs into multiple pages, it means you have a lot of experience under your belt. But, how do you include all of your medical degrees and other notable achievements? Keep this in mind, that the type of information they want to see must be relevant for the role. Start by including specific projects, and the tools that you worked on that are in line with the particular position. A Long resume is not necessarily wrong, but if you keep your resume to one to two pages, that’ll be ideal. Recruiters often use job descriptions as a reference tool for reviewing resumes. Keywords, job descriptions, and skills are mostly looked at first. 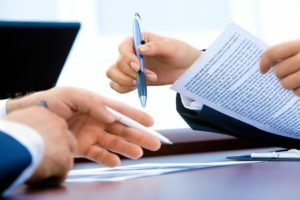 Making it easier to take that applicant into consideration, at this time, tailoring your resume to the job posting will help you a great deal in the resume reviewing process. Our recruiters recommend highlighting your most relevant skills compared to the job posting. The information on your resume should be easy to follow. The order of importance is your most recent contact information, your name, phone number and maybe your LinkedIn hyperlink. You don’t want to make it difficult for the recruiter to find you. Include your education and keep all of your past experience in chronological order starting with your most current position and working your way back. Start with a verb when you describe what you are currently working on and everything you have done in the past. Make sure to stay consistent, always use past tense if you are no longer working at that specific company. Use verbs such as managed, created, assisted, etc. Also, keep in mind that in healthcare employers want to see the impact you have provided to the organization and the patients. By doing this, you will create a professional resume that is easy to read when it is being reviewed. If you submit a resume with a typo or a lousy font selection, it can lead recruiters to think that you don’t have attention to detail, or worse, that you are careless. Before you submit your resume take the time to proofread it and have another set of eyes do the proofreading for you. This will assure that you are not missing anything. A good tip for the font is to use New Times Roman, 12 point font, in black. In summary, it’s time to put all of these insights into good use, and don’t forget to be reachable and make it easy for recruiters to contact and find you. If you need recruiting assistance, contact us today. 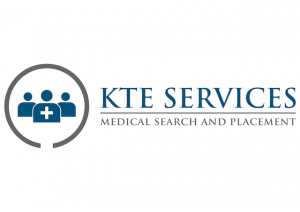 You can reach us at 904-940-5415 or ktemedicaljobs.com.